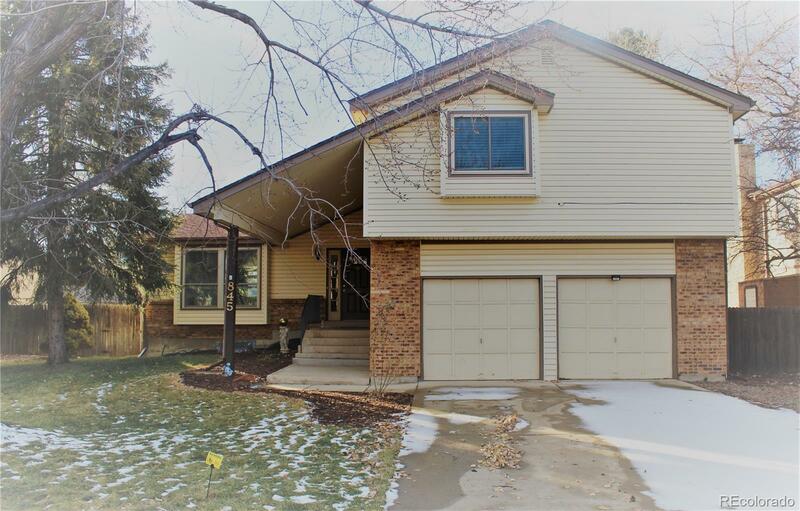 Beautifully updated home, ready to move in to! Upstairs has three large bedrooms, including the master bedroom with two closets. The upstairs also includes flex space/loft area that could be a playroom, office or what ever you like! Main floor boasts of living room with bay window and vaulted ceilings, formal dining room and family room complete with wood burning fireplace and wet bar. Updated kitchen with new stainless appliances, large eating area with bay window. New flooring, freshly painted throughout, new light fixtures, new washer and dryer included, new hot water tank, plenty of room for everyone! Over sized 2 car garage. Well maintained back yard with designated dog run or garden area, large patio and backs to walking trail. Boulder Valley School District, close to parks and open space.